Over the weekend I sprung for my very first purchases of Japanese Maples. I've been mulling over this decision for months, knowing I would be looking in the fall when the nurseries mark down remaining trees and shrubs to move them out. I was hopeful to find trees with great fall color as fall is...my favorite time of year! My first find is called Acer Palmatum 'Fire Glow'. I plan to plant this beauty where the rays for the setting sun will find it in a big backyard. Even better, our local garden store had it on a great sale! I drove down I-5 for my next stop and found a perfect tree! My second find was a Acer Palmatum 'Twombly Red Sentinel'. Also..great sale going on! This little fella grows straight and slender. I think it's perfect fit as a focal feature in a postage stamp front yard. 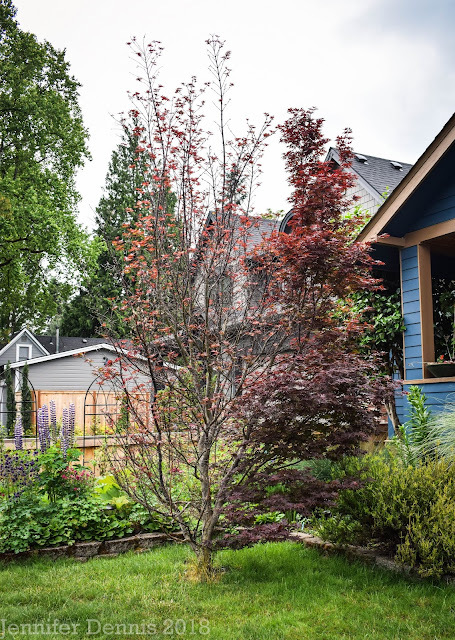 It will be fun to build around this gorgeous tree with complimentary conifers and perennials. 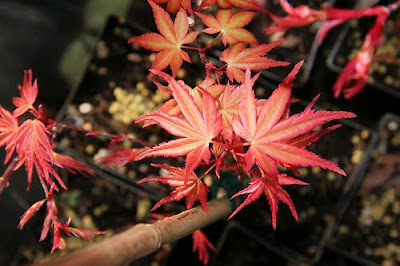 The sales gal at Tsugawa Nursery told me she had heard Japanese Maples could be addicting. I think the bug has bitten me! Japanese Maple is the one non-edible that exists in my garden. I try to forget about it, and then WHAM! It's all bright red and unexpected. 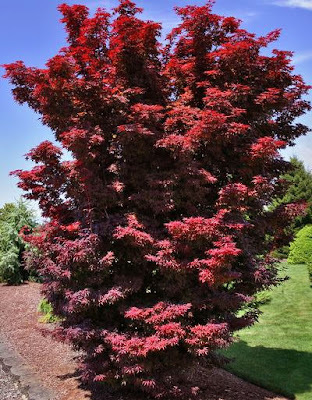 Oh I so wish we could plant Japanese Maples. I love them. As close as I could get was an Autumn Blaze Maple maple. Good luck with yours. I'm happy for you. it certainly sounds like the acer bug has bitten you. Enjoy the scarlet - I like the vision of it against the setting sun. Two very gorgeous choices! We have one huge one in our backyard and one small one in a container. I wish I had space for more. This is a great time of year for tree shopping! Oh I have one and it's gorgeous! The colour is truly amazing, such a great choice! Congratulations and welcome to the club! I had my obsession a few years ago but I still can't walk by a Japanese maple with out stopping and ooing and ahhing. Your selections look wonderful. 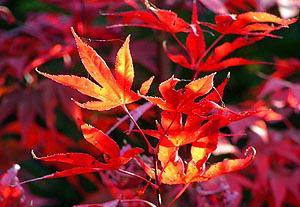 Japanese maples are fantastic - I always admire them. These look gorgeous. Hope they give you your fix of autumn colour! We have one in our front garden and the late afternoon Fall sun (when it is out) makes it glow, I LOVE it :) T.